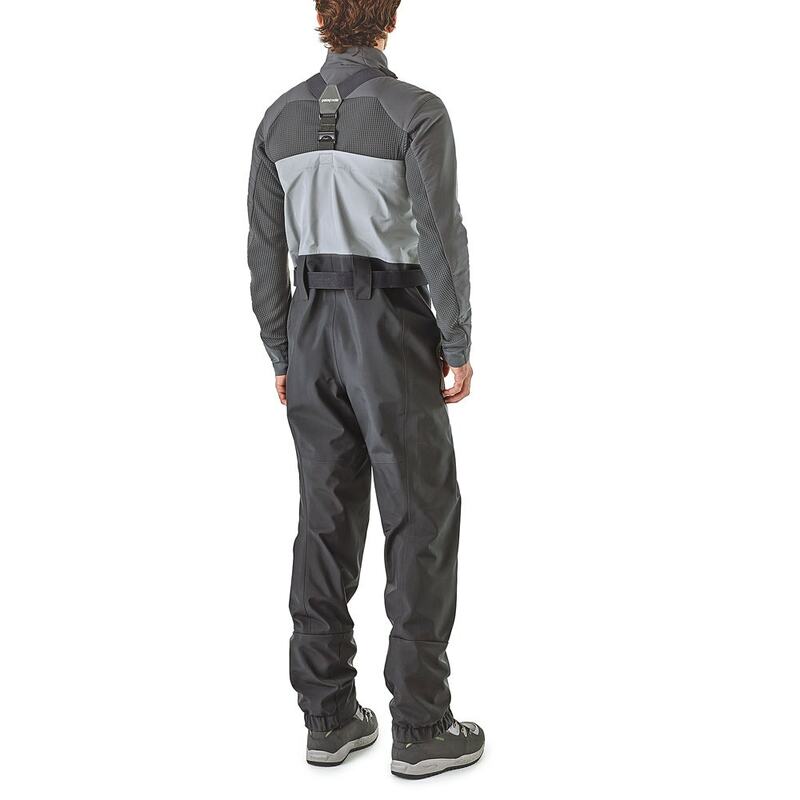 The Rio Gallegos Zip-Front Waders bring the convenience of a waterproof front TIZIP® zipper to the toughest, most puncture-resistant, waterproof/breathable wader that Patagonia have engineered with a more trim upper-body fit that still layers easily. The Rio Gallegos Zip-Front Waders bring the convenience of a waterproof zip to the toughest, most puncture-resistant waterproof/breathable wader on the planet. 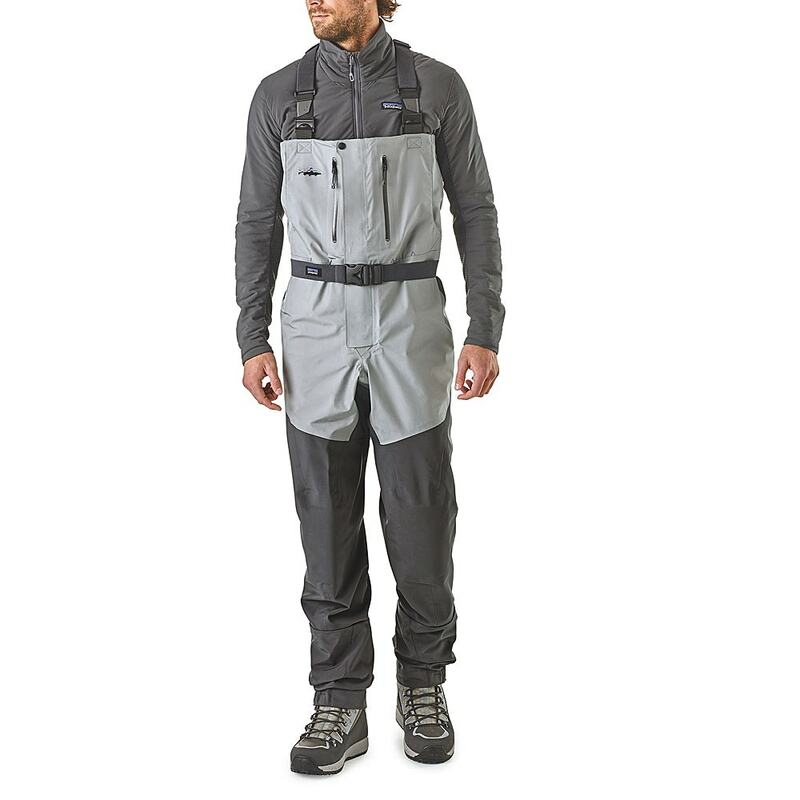 In other words, the ultimate fly fishing waders now feature a fly! The newest version of the Rio Gallegos is built with strategically placed weights of a new tougher, more breathable 4-layer H2No Performance Standard fabric and a single seam construction for greater durability and freedom of movement. Revolutionary merino wool grid lined neoprene booties wick perspiration and create guilt-inducing levels of foot comfort. The 3mm neoprene maintains the warmth of 5mm neoprene but with better wicking. 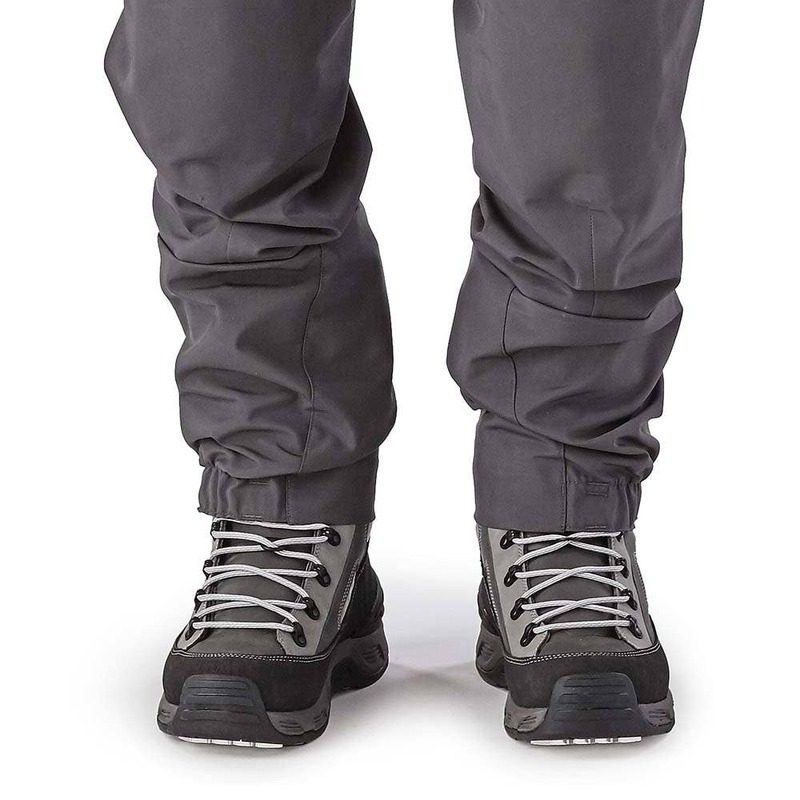 An innovative internal suspension system allows easy conversion to waist height, while the front zipper offers quick, easy relief without having to remove your jacket. Exterior reinforcement tape on interior leg and crotch provides unsurpassed abrasion resistance where it's needed most. Merino wool grid lined neoprene booties wick perspiration and create guilt-inducing levels of foot comfort. The 3mm neoprene maintains the warmth of 5mm neoprene but with better wicking. An innovative internal suspension system allows easy conversion to waist height, while the front zipper offers quick, easy relief without having to remove your jacket. Upper exterior glued-in, water-repellent zip pocket at chest provides ample storage for quick access to tippets, nippers and lip balm. An interior, clear-welded TPU pocket provides waterproof security for cell phone, camera and keys. Sculpted upper for reduced drag in heavy currents, anatomically curved knees with removable knee pads, built-in fabric gravel guards with abrasion-resistant scuff zones and high-filtration mesh drain strip..
A quick-release DuraFlex® Stealth-V buckle for an adjustable fit and, to avoid line catch, concealed stainless-steel locking boot hooks. Exterior reinforcement tape on interior leg and crotch provides unsurpassed abrasion resistance where it's needed most. These waders have a relaxed fit. They are less bulky yet still allow room for layering. 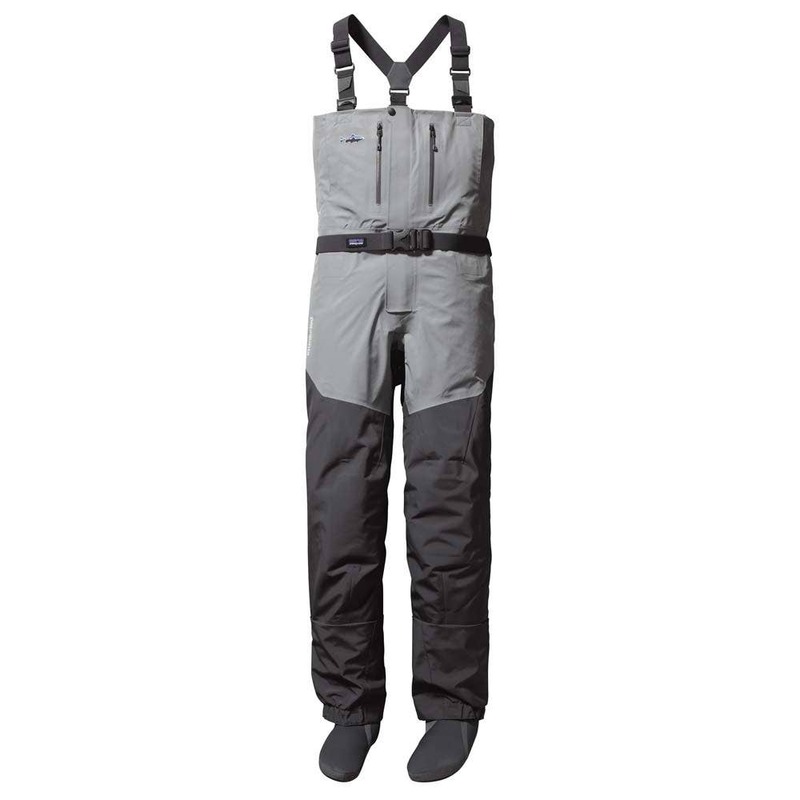 The adjustable suspender and belt system can customize the fit of the waders.